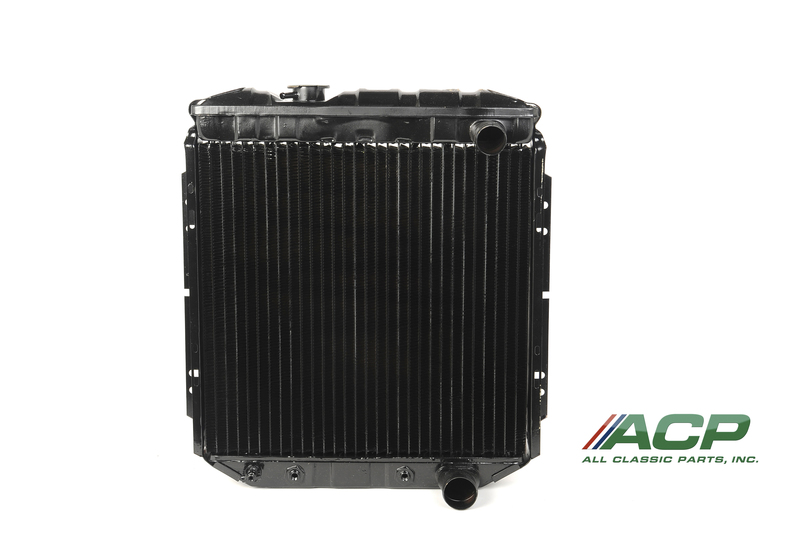 This is a brand new reproduction radiator for your 1965-66 Ford Mustang.This radiator is the correct application for the V-8 260 and 289 equipped vehicles. This radiator will out performs all 2 and 4 row radiators in terms of higher cooling efficiency. The unique "Large Tube" design in all of our copper radiators increase coolant flow and heat conduction surface area. Remember to compare this radiator carefully against other radiators on the market. This is an ORIGINAL appearing reproduction unit with OEM style tanks with copper construction.